I passionately wish this was ‘History.’ This is a photo of Marcos Amaral Gourgel, the 35-year-old Portuguese man who froze to death on the night of February 13th in a subway just by Westmister tube station, on Parliament’s doorstep.This morning, within ten minutes of leaving my flat in north London, I passed three homeless men sitting or lying on the pavement, just round the corner from a whole block of houses that has been empty and boarded up for years. How is it possible that a country that prides itself on giving everyone free health care allows people to die of hypothermia on the streets of its richest city? 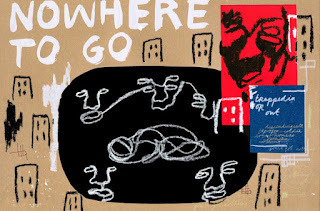 Now, of course, you would be lucky to be given somewhere to stay anywhere as central as Bayswater and many London councils are giving homeless people 24 hours to accept private rented homes in the West Midlands or Essex, far away from friends and family and schools where their kids are known. These Londoners are warned that if they refuse the council will consider them to have become “intentionally homeless” and withdraw support. 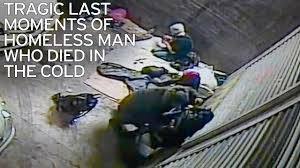 In 2018 homelessness is far more visible all over the country and shames us all. No government has made any serious attempt to improve the situation. According to the Joseph Rowntree Trust, homelessness has risen by at least 32% since 2009/10. Jon Sparkes, the chief executive of the homelessness charity Crisis believes that the new Housing Act will help. Recently, Windsor Council proposed to fine beggars and rough sleepers £100, but backed down after a public uproar. The attitude that poor people are to blame for their poverty and should be punished for it is not new. 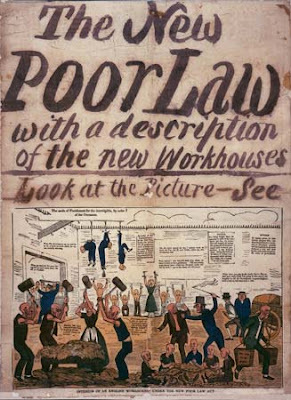 The Poor Law Act of 1388 restricted the movement of labourers, when they became scarce after the Black Death, and led to the state, or parish, becoming responsible for the support of the poor. A distinction was made between "the genuinely unemployed and the idler" - the ‘deserving’ and the ‘undeserving’ poor - and this attitude still dominates housing policy. 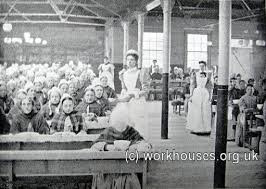 In 1834 more workhouses were built and continued to exist until the NHS turned many of them into hospitals in the late 1940s. I can remember old people who had grown up in poverty telling me that, as children, they were threatened with ‘being sent to the workhouse.’ As a seven-year-old, Charlie Chaplin was sent to the Lambeth New Workhouse on Renfrew Road in Kennington, (now a cinema museum threatened with closure). In the early 20th century Sydney and Beatrice Webb advocated replacing the Poor Law with public services administered by local authorities. The first old age pension was introduced by the Government in 1908, paying five shillings a week to men (presumably, old women were considered dispensable). At a time when the average life expectancy was 47, the pension kicked in at 70. Ten years later, housing subsidies were introduced to make council rents more affordable. History can explain why homeless people freeze to death on our pavements but cannot justify it. Over the last few decades a combination of local authorities starved of funding, outrageous property prices and greedy private landlords has destroyed the fragile safety net that once existed. I’m sure that in the future our callousness towards homeless people will seem as cruel as the indifference of our ancestors to slavery. What a good and important post. Thank you. Doesn't it make one feel impotent? I get so very cross at any Governments' lack of compassion. Thank you for highlighting the problem. I find it remarkable that a man who was here illegally and had been deported for molesting children is the focus of your compassionate post. Marcos Amaral Gourgel was a person who preyed on the weakest in society, children. If you are feeling the need to help those who are downtrodden, why would you choose this man?!!!!! Alleged. Unconfirmed by the Home Office or Scotland Yard. Did Ancient Romans Pee Differently?